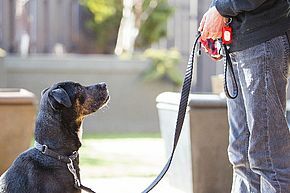 Learning how to interpret your dog’s cues. 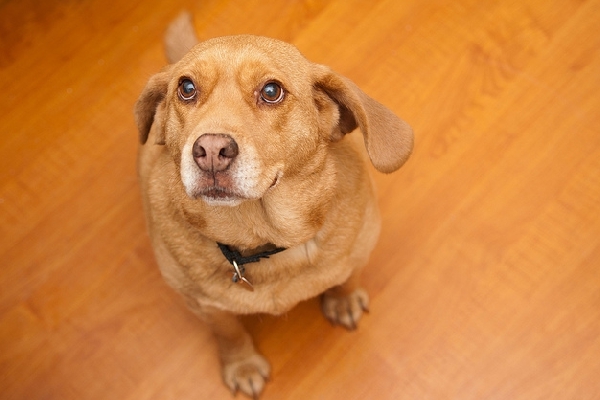 While dogs cannot speak our language, they do communicate through body language and signals. Understanding these physical signals can tell you if your dog is feeling tense and stressed or calm and relaxed. It is equally important to be aware of the environment around your dog to get more information about his frame of mind. Remember that displacement behaviors are behaviors that dogs do anyway so it is important to look at the context. Recognizing these signals gives us time to intervene and help the dog out of the stressful situation. Under extreme stress, a dog may feel the need to take action. He may growl, snarl, show his teeth and finally, lunge or bite. It is important to recognize the signals or language of dogs so you can understand and respond correctly. Safe management involves helping your dog out of a stressful situation before an unwanted act occurs.